I finally purchased some of those cute air plants that are all over Pinterest. After being mailed to me they need some TLC. I needed to find a way to hang plants around my small apartment as I don’t have a ton of surface space. 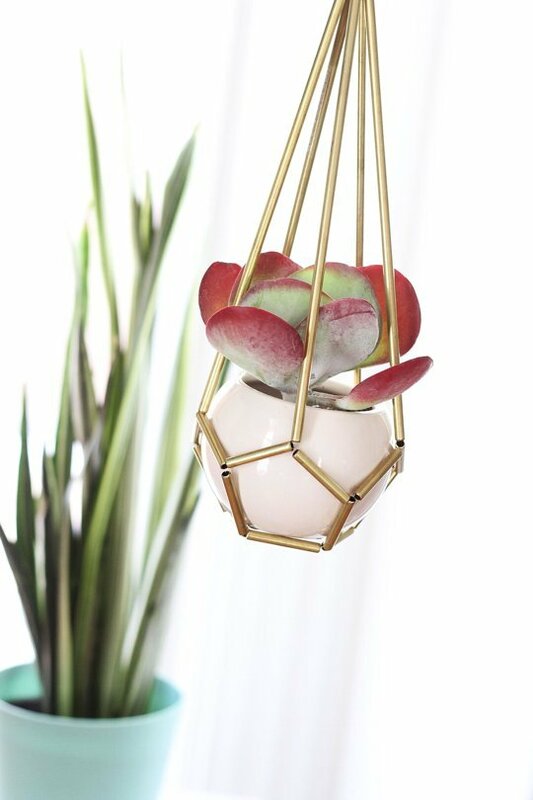 HERE ARE 5 WAYS TO HANG PLANTS INDOOR IN SMALL SPACES. This one is the original brass tubing planter I used for inspiration. This one is my DIY version of a hanging planter that I made out of tube beads. It’s perfect because it’s nice and small but also aesthetically appealing. These beads are silver but I have other colors I’m going to try as well. 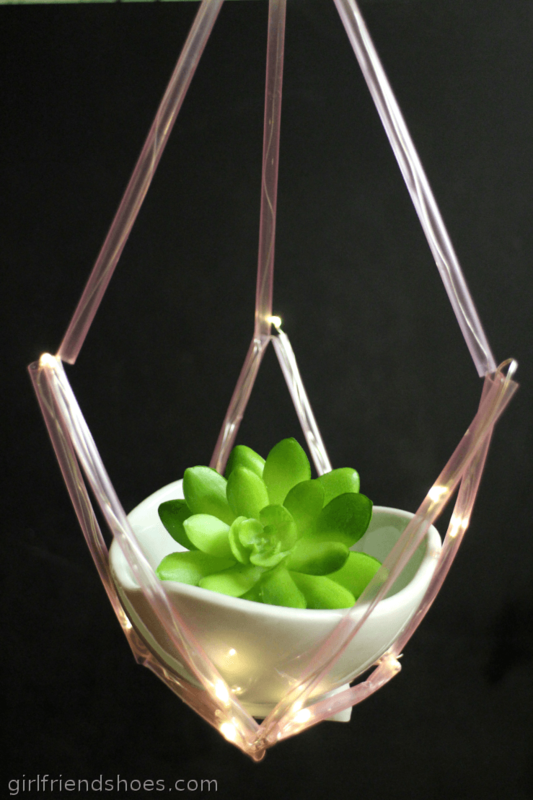 This one I made with pink straws and fairy lights. I just threaded wire through the straws and then the fairy lights for a nice night time effect. I’m thinking these would be cute in a patio area on nice summer nights. I saw this adorable DIY plant hanger and had to make one also. 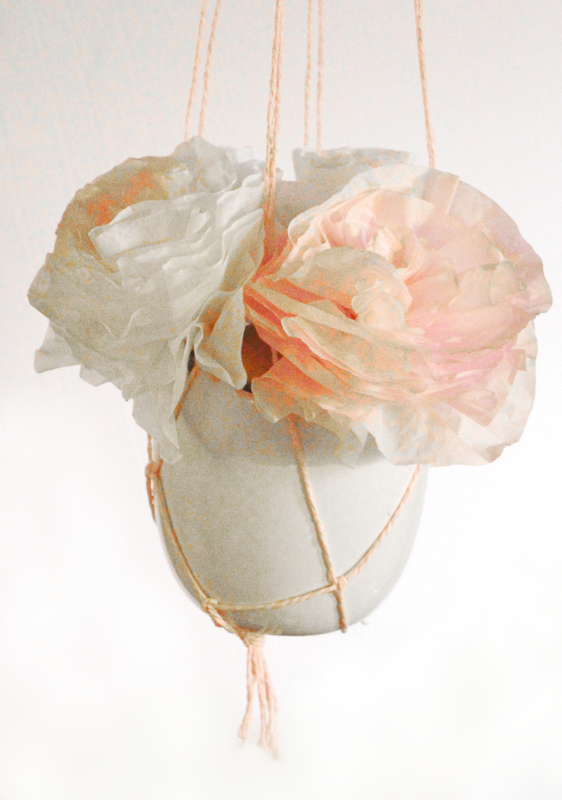 I made mine with pink bakers twine and used my paper peonies to display it for this post. 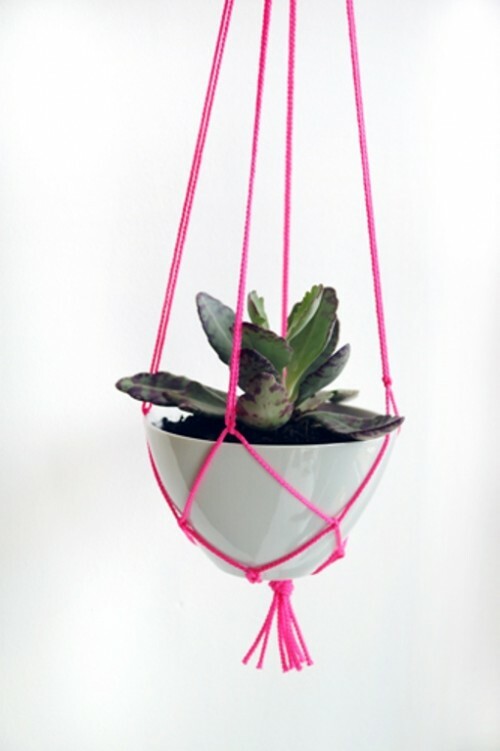 The last DIY hanging planters for small spaces idea I liked I have yet to try myself. Now that I have some air plants to display I think I will try this one next. I like the idea of having a few side by side like that. Some pretty cute ideas. I’d like to try the copper piping DIY planter but haven’t found any copper piping to use yet. I will probably order some online. Can’t wait to set up some indoor DIY planters for my new air plants. 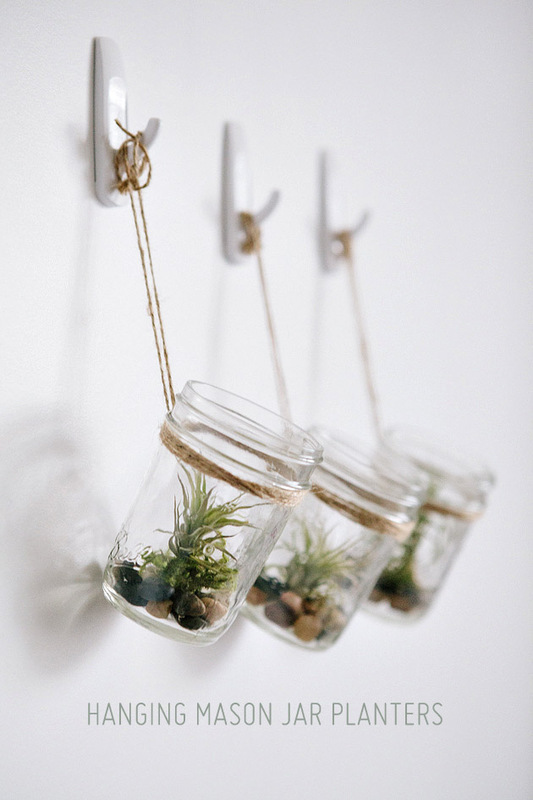 Do you have air plants and how to you display them?